This month Paul Senft reviews not only two rums, but four rums. 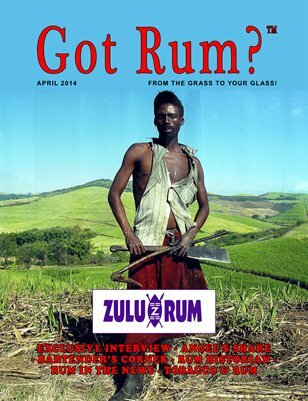 We have an exclusive interview with Mr. Clinton Waynne Wyness, Director of North Shore Trading located in South Africa and part owner of Zulu Rum. Marco Pierini continues his story of his trip to Barbados in the quest of the origin of rum along with a book review of "Caribbean Rum: A Social and Economic History" written by Frederick H. Smith. Philip Ili Barake brings us a pairing of two cocktails, an Old Fashion and a Manhattan, paired up with a H. Upmann Half Corona Cigar in his pairing titled "Cocktail Revolution".